Fernando Pessoa was a Portuguese writer, poet, literacy critic, publisher, translator and philosopher. He is described as one of the most significant literary figures of the 20th century and also one of the greatest poets of the Portuguese language. Fernando Pessoa was born on June 13, 1888, in Lisbon, Portugal. At the age of five, his father died of tuberculosis and the following year his younger brother also died. In 1895, his mother remarried and he and his mother went to South Africa to join his stepfather. Pessoa received his early education at St. Joseph Convent School. In 1899, Pessoa moved to Durban High School where he became fluent in English and developed an interest in English literature. While preparing to join the university, he attended the Durban Commercial School where he wrote short stories in English. He published his first poem at the age of 16 in 1904. As from June 1905, in the section, The Man in the Moon, at least four sonnets by Fernando Pessoa were published by The Natal Mercury. The poems included: Joseph Chamberlain, To England 1, To England 11, and Liberty. All these poems were varied humorous versions of Anon as the name of the author. Pessoa left Durban for good at the age of 17 and went to live in Lisbon while his family remained in South Africa. He joined college to study diplomacy in 1905. After two years of poor results and illness, he ended his studies. In 1907, his grandmother died and left him a small inheritance. He used this inheritance to start his own publishing house. However, this venture was not successful and closed down in 1910. In 1912, Fernando entered the literary world with a critical essay that was published in the cultural journal A Aguia. He also founded Athena between 1924 and 1925. This is where he published much of his poetry. He was also a freelance commercial translator and a literary critic who contributed to different journals and magazines. Fernando Pessoa translated Portuguese books and poems into English. While living with his aunt, he developed an interest in spiritualism; this was awakened in the second half of 1915, while he was translating theosophist books. 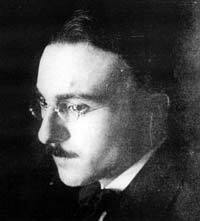 Pessoa also developed a strong interest in astrology. He became a competent astrologist and he elaborated more that 1,500 astrological charts of famous people such as Oscar Wilde, William Shakespeare, Napoleon and Chopin. In his early years, Pessoa was influenced by poets such as Milton, Spenser, and Shakespeare and romantics such as Shelley, Keats, Byron and Tennyson. While in Lisbon, he was influenced by French symbolists like Maurice Rollinat, Stephane Mallarme and Charles Baudelaire. During the First World War, he wrote to several British publishers so as to print his collection of English verse, The Mad Fiddler. However, this was refused and in 1918, he published two slim volumes of English Verse; 35 Sonnets and Antinous. With the help of his friends, he also founded another publishing house called Olisipo. Pessoa never left Lisbon and he spent the rest of his life moving from one part of Lisbon to writing and also publishing his works. Fernando Pessoa died on November 31, 1935, at the age of 47 in Lisbon, Portugal.